Well, it took a month longer than expected, but the new iPhone is about to launch. 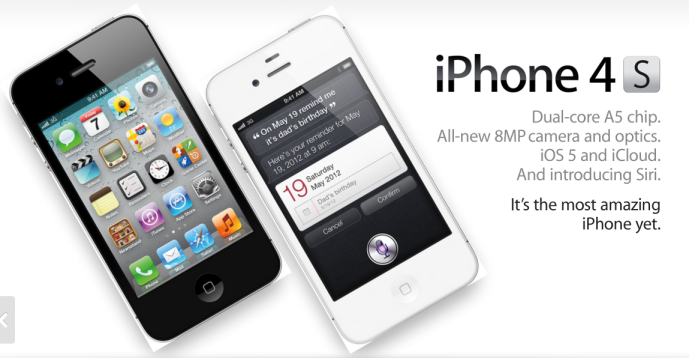 As reported on this blog, it’s not going to be an iPhone 5, but an updated iPhone 4 – the iPhone 4S. As predicted on 16th May 2011 (Here), it’s an improved product, like the iPad 2 was, rather than a new product. The key question of pricing is still unclear as I type this an hour after the launch event. But other details for the product have been released and are broadly inline with the expectations: A5 processor (from the iPad 2), the improved camera (8mp), the larger storage memory option (64mb). Importantly the aerial, which was a common problem for the iPhone 4 at launch 14 months ago, has been reworked – so the iPhone should be a better mobile for calls. It’s a fraction slimmer and weighs in at 140g. It ships with iOS5 and iCloud, both of which will be interesting in the way the enhance usability and access to your media.